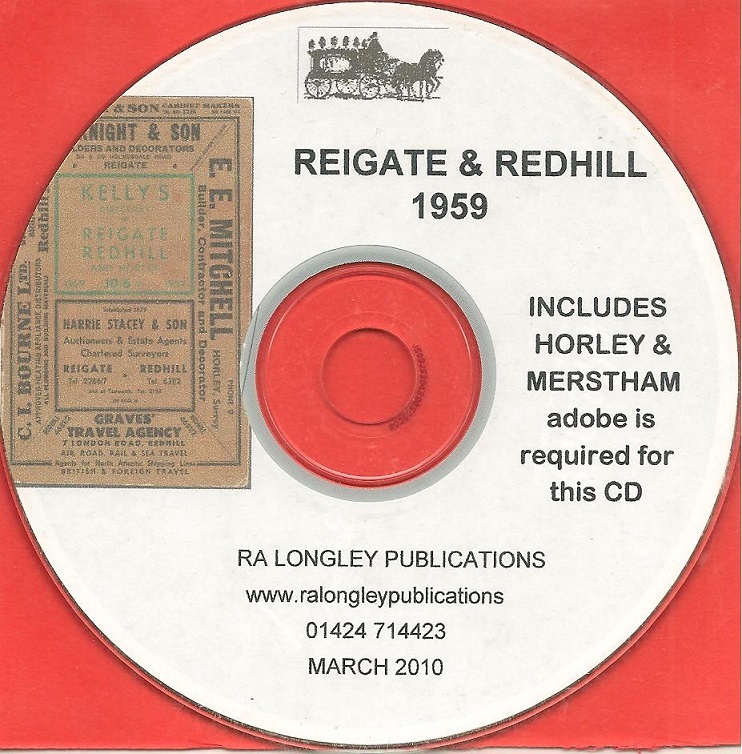 Kelly’s Directory for Redhill and Reigate for 1959 reproduced on CD. Includes names, occupations and situations of the warehouses, offices and shops etc. Also include Horley and Merstham. 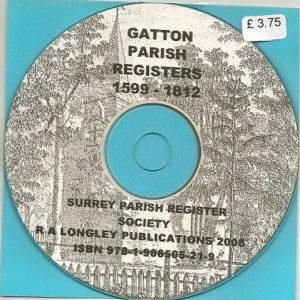 A Kelly’s Directory for Redhill, Reigate for 1959 reproduced on CD. 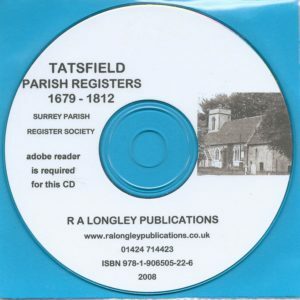 CD in PDF format..